Sometimes a small propane tank isn't enough to fuel a camp kitchen. 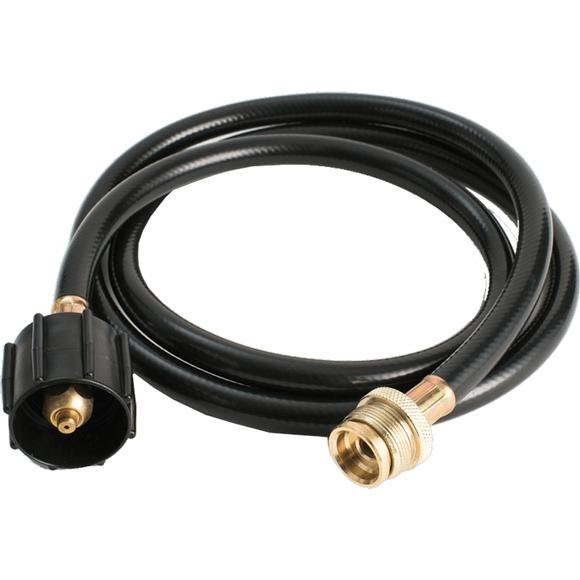 Use this hose to quick-connect your Jetboil® or Eureka!® multi-burner stove to a 20 lb. tank! A great accessory if you run multiple stoves off of one fuel source. Sometimes a small propane tank isn&apos;t enough to fuel a camp kitchen. Use this hose to quick-connect your Jetboil® or Eureka!® multi-burner stove to a 20 lb. tank! A great accessory if you run multiple stoves off of one fuel source.